face. Not only can this require pipe burst cleanup, but you may even need to call in some professionals to help. What Can the Pros Do That You Can’t? Professionals have years of experience handling disasters like yours. Professionals have the right tools and equipment to clean up anything from a broken pipe to a sewer backup. Professionals can get to your facility in a timely manner and can clean and restore your building quickly. Sewage cleanup is one of the most unpleasant situations you could encounter with a flood. It’s not something you should handle with an in-house crew. Professional teams know how to safely dispose of water mixed with waste and other harmful microbes. When you realize you need to attend to pipe burst cleanup, you’ll probably have documents, electronics and other materials to take care of. This can be extensive and specialized work that the pros can best handle. An expert will use high-tech methods such as freeze-drying to preserve paperwork and other sensitive information. You don’t want to risk making things worse by tackling the task yourself. If the cleanup is simply too much to handle, don’t hesitate to call a professional. No job is too big for an experienced, skilled professional. If you’re facing a pipe burst cleanup, you know where to turn. Get your workplace back to normal, and get in touch with a professional. 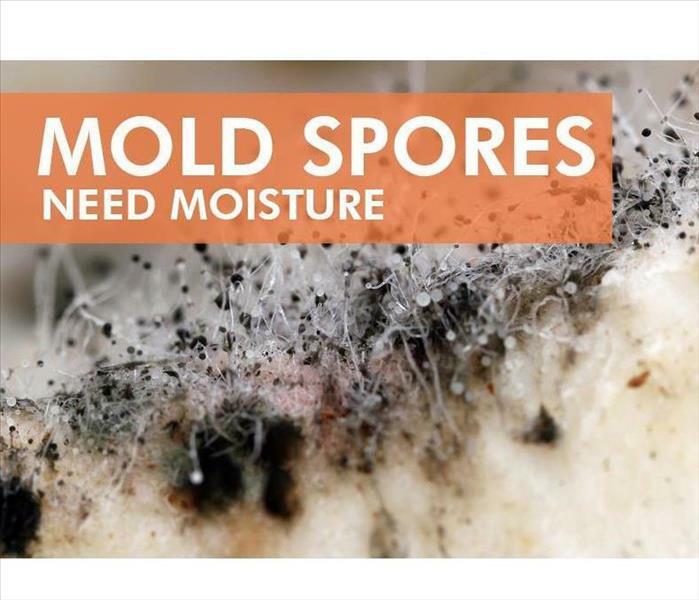 Mold spores need moisture. When water is introduced a spore can grow into a colony very quickly. Commercial property owners in Collingwood, NC, have an obligation to the people who spend time in their buildings to keep it functional and safe. This includes making sure everything from regular carpet cleaning to timely repairs gets done. Mold growth is often an indication that something has fallen by the wayside. Here are some specific tips on how to make mold prevention strategies a part of your regular routine. These are all areas where excess water can attract mold spores out of the air. Once this happens, you not only need repair for the problem but mold mitigation services for the fungus infestation. You can keep mold out of your building by keeping a close watch on any space where moisture is likely to pool. Many business owners hire their own custodial staff to make sure that their buildings are kept dust-free and clean. Even if you don't have your own full-time crew, however, you still need to make tasks such as carpet cleaning, air duct dusting and vacuuming a regular part of your building's maintenance plan. The less organic matter mold has to feed on, the lower the probability that you will have to deal with mold problems in your building. You can curtail some potential mold issues by reducing the number of spores that enter your building. You cannot completely eliminate mold in the air. It enters on clothing, hair, shoes, and bags from outside. A mat at every door can help trap some of the debris that gets tracked in, though. HEPA filters can also remove some mold spores from the air, lowering the likelihood that a problem will arise when the building is empty over the weekend. 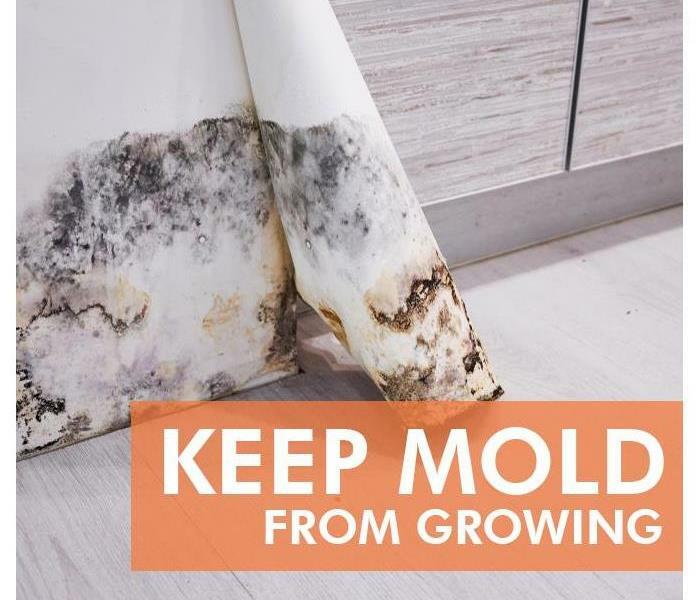 While there's no such thing as a mold-free environment, you can take steps to prevent growth. With regular carpet cleaning, roof inspections, and effective filters, you are less likely to see patches of fungus on your walls, ceilings or floors. Are you ready? Do you have a fire scape plan ready to keep your family safe? There are few disasters worse than a fire in Charlotte, North Carolina. Not only can a fire structurally damage buildings, leaving families homeless and destroying personal belongings, but the flames and smoke can also be dangerous for you and your family. It is always a good idea to have a fire escape plan in place so all family members understand how to get to safety if a fire were to happen. Three steps to make a plan to keep your family safe. The Red Cross has a variety of emergency safety kits that could benefit your family after a fire. If you do not wish to purchase a kit, make your own with first-aid supplies, water, and any essential medicines for family members. Once your kit is ready, store it near a door or window and designate one family member to grab the kit if he or she has the opportunity. Make sure that everyone in the family is aware of every possible exit. Have several direct routes in mind from each room, including those both upstairs and downstairs, so everyone knows the fastest route and an alternate route to safety. Having multiple routes to safety is essential to any fire escape plan. Choose a destination a safe distance away from your home for all family members to meet after a fire. This way, families can easily see that everyone is safe, or they can alert first responders that someone may still be in the building. Having a good fire escape plan in place is the best way to be prepared for a fire. Using the three steps above can help you create an emergency escape plan that will assist you in keeping your family safe. Visit http://www.SERVPROwestmecklenburgcounty.com for more information on fire damage. 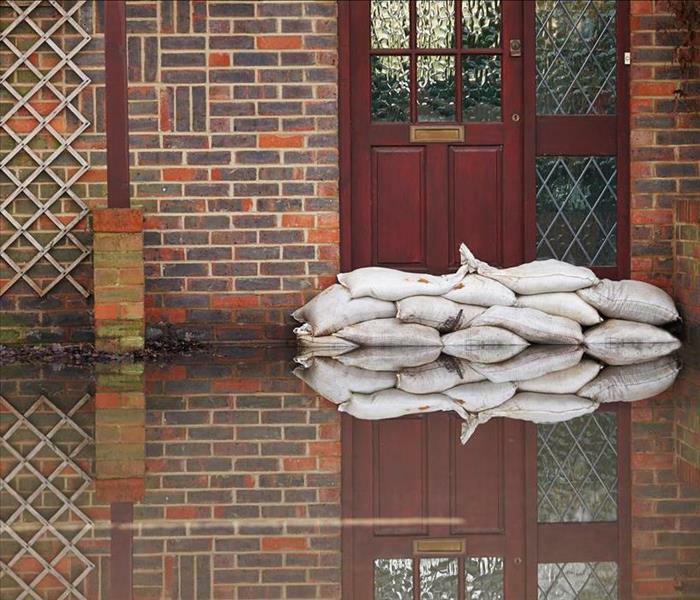 Flooding can be devastating for residential homes in Charlotte, North Carolina. The moment a storm hits, there are going to be various problems. Depending upon the amount of water and the area, it can lead to river flooding, wind damage, roof damage, hail damage, and much more. Depending on the time of year, it might also result in ice damage as well as frozen pipes. Knowing how to deal with all of the damage will make it easier to focus on storm remediation. A roof can only handle so much. Wind damage and hail damage might loosen shingles. This can lead to a roof leak and the need for a roof repair. Hurricane damage is often extensive enough to require roof repairs. This is why it’s imperative to look at the full level of roof damage. Hiring a professional will assist with storm damage and storm remediation. They will be able to examine roof damage, address roof leaks, and help get started on the home restoration. It will ensure that the roof repairs are taken care of so that water doesn’t pose further problems to the inside of a home or business. There is going to be a lot of flooding, which is often a result of hurricane damage and other storm damage. It’s important to address the flooding as part of storm remediation. If the ground water isn’t going down on its own, there might be river flooding. The goal is to prevent the ground water from entering the home or business. By calling a company that specializes in storm restoration, they can bring flood pumps. A flood pump is capable of pumping a lot of the ground water at once. This can help to deal with flooding of all levels. The flood water needs somewhere to go. Plus, if it’s still storming, the flood water will continue. It’s why it’s often critical to call in professionals because they can bring a flood pump to help with storm remediation. In the winter, ice damage and hail damage can take a toll on a home or business. The ground water might create ice damming. An ice dam can cause a roof leak if it’s left for too long. Some flood water might also cause frozen pipes in addition to an ice dam. This means a water restoration professional will have to use pipe heaters and other tools to get rid of the ice dam and all of the ice damming. Frozen pipes, if they burst, can be a major problem. It’s why it’s important to explore the ice damage early on. Any time there is ice damming or frozen pipes, home restoration professionals should be called. They will have the water restoration tools needed to take care of the problem effectively. The average homeowner doesn’t know how to deal with hurricane damage, wind damage, hail damage, or other forms of storm damage and storm restoration. As such, it’s important to call in a home restoration company. They will have the knowledge and tools to help with river flooding, roof repairs, and ice damming. Whether there is an ice damage, a significant amount of flood water, or a roof leak, professionals should be the ones taking care of it. They can use a flood pump and address the water restoration properly. They will know how to reduce the river flooding and get the home on its way to a full storm restoration. Often, it’s more than one thing going on. There might be the need for water restoration as well as thawing an ice dam, fixing wind damage and hurricane damage, and cleaning up after storm damage. By working with a company that specializes in storm restoration, it's easier to have all aspects covered. SERVPRO of West Mecklenburg County can answer more questions if needed. They have the training, experience and equipment to deal with Storm Damage and Flooding. Pipe break can cause Water Damage within the home. Water might be a blessing on a hot day if you're near a swimming pool or need a cool shower to fend off the heat, but there is a time and place for water in a home. When water in a home oversteps its boundaries, damage to the home can begin to mount quickly, leaving a home at the mercy of the elements. This is the tip of the iceberg for damage caused by water. 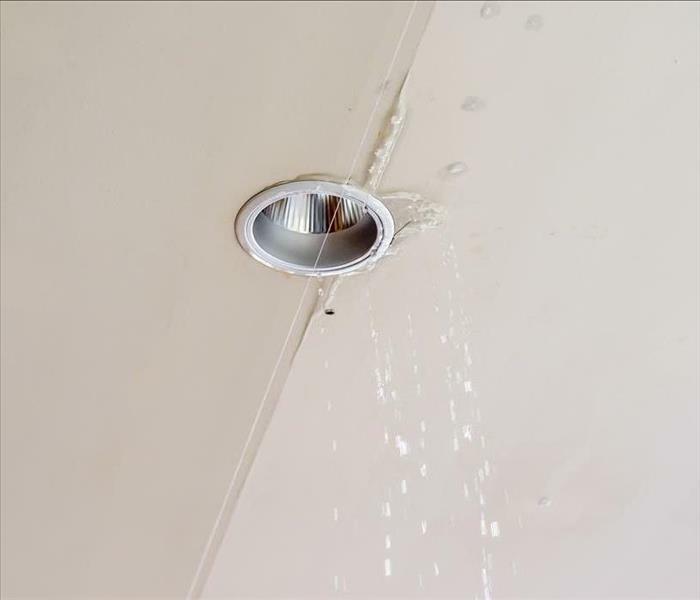 While flood damage is well known to most people, few novice homeowners realize the havoc that a pipe break or supply line break can cause within the home. They see the effects, not the cause. A restoration company can quickly assess the damage within a home or water in business and then begin to quickly use drying and other water cleanup techniques to preserve your home or business. Water cleanup isn't an easy task and it's never best left to a home or business owner. Water in business can create an unpleasant odor for employees and customers, damaging more than just internal and external structures. Water cleanup is best left to the professionals. Mitigation to stop the source of the problem and followed by cleanup and professional restoration is the golden rule of water in business or a flooded home. Why is a restoration company the answer? First of all, they have the equipment needed to handle the drying and mitigation involved in a flooded home or business. Their machines include dehumidifiers, air scrubbers, and air movers that the average home or business owner would never keep on hand. The penalty for unresolved flood damage or other forms of damage can amount to THOUSANDS of dollars. Hiring a professional restoration company is well worth the cost compared to doing it yourself. A restoration company enters the scene and assesses the flooded home or business very quickly. They will begin by quickly creating a plan for cleanup that begins with general picking up and drying. The company will categorize the damage into 1, 2, or 3. Category one is clean water cleanup. Category 2 is gray water cleanup (dirty water). Finally, category 3 water is unsanitary water. Once categorized, a restoration company will begin expert mitigation, cleanup, and restoration. The mitigation and restoration offered by one of these professional companies is thorough and backed up by years of research on the subject of a flooded home or business. If you have water in home or water in business, calling a professional immediately is your solution. The process of clearing debris from water in home or business begins with an initial inspection of the area to determine the cause. This mitigation phase helps professionals plot a course of water damage cleanup that will be perfect for either home or business. The culprit could be a flood, a supply line break, a pipe break, or an overflowing appliance. Mitigation and drying for flood damage will be different from that of an instance where a pipe break or supply line break is the culprit. Extraction of the standing water and cleanup will all be carried out in accordance with industry standards. Obviously these companies secure the scene and then let you know what caused the water damage. Once they've completed their job, they will report on their findings so that in the future you can prevent further damage in the future. 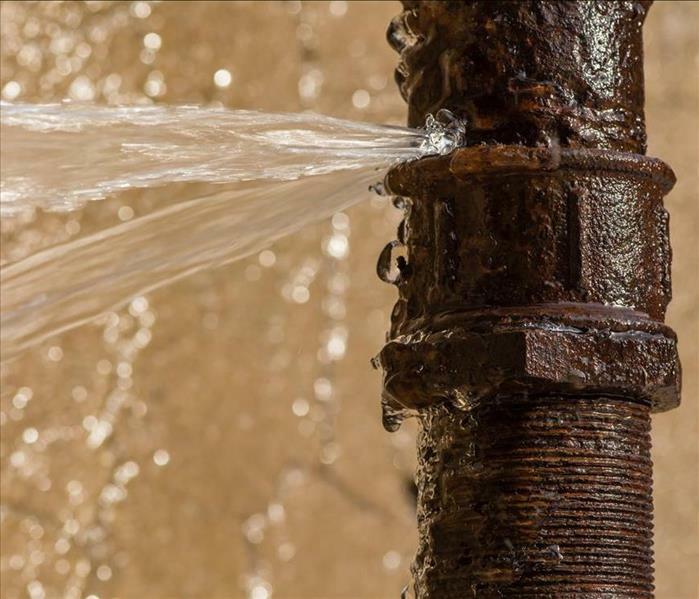 Anyone who has ever experience significant leaks or damage can attest to the necessity of calling a company instead of doing it yourself. In the long run, you're going to save both your home or business and keep yourself from causing further damage by trying to get things done yourself. SERVPRO of West Mecklenburg County has the experience and training to respond to your water damage immediately. 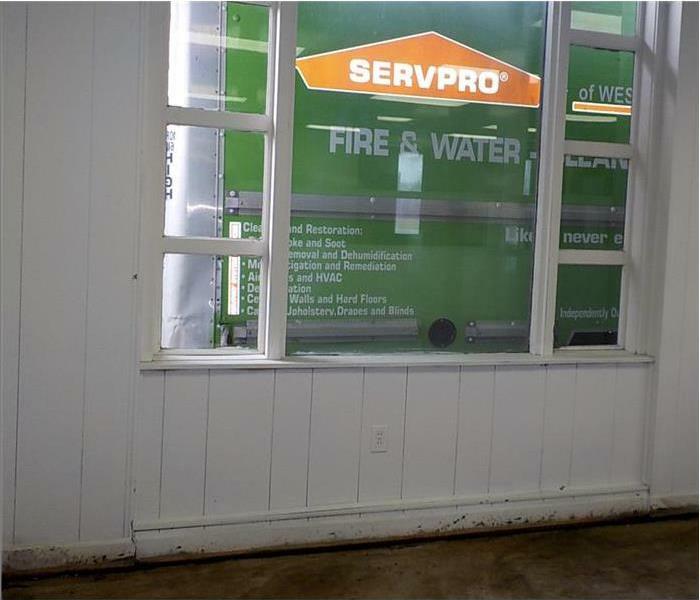 SERVPRO of West Mecklenburg County has professionals with experience and equipment to restore your business or home with Water Damage. After a water or flood damage occurs in your home or office, water cleanup needs to be implemented. This tedious task entails cleaning or getting rid of any excess water in home or water in business to avoid further damage and then taking appropriate steps to restore your home or office to good condition. Once water in home or water in business has been extracted, the next step is to make necessary repairs. In addition, you need to be sure that getting rid of water in business or water in home is implemented as quickly as possible in order to prevent the growth of mold and mildew, which often occurs shortly after flood or water damage. A professional assessment of the situation and the extent of damage is always recommended. No matter the cause of the flood or water damage, or the extent of the damage to your property due to water in home or water in business, to prevent future problems, restoration should be handled by a qualified water restoration professional. A water or flood damage restoration professional or company is an excellent resource for property owners who want to ensure that mitigation is done safely and effectively, while preventing further damage to their property. Some property owners may think that they can handle this situation on their own using vacuums, fans, or towels, but sometimes even floors or carpets that look dry still have moisture underneath, which can lead to further damage and other issues. When water damage strikes, time is off the essence. When you are dealing with a difficult situation, such as floods or plumbing leaks, it is important to act fast. Highly-trained professionals are usually available 24/7 and when you call them, the expert water damage restoration team will respond right away. Certified professionals will arrive with powerful equipment, which enables them to handle the job. Water or flood damage professionals restore your property quickly. In addition, hiring a mitigation company means they employ several professionals at once to provide efficient and quick water cleanup and mitigation service. They can handle the various aspects of the water cleanup, repair and mitigation simultaneously and get the situation under control quickly. Mold and mildew can cause many health problems. Standing water and wet materials are a breeding ground for mold, mildew, bacteria and other harmful microorganisms. They can cause serious issues, and continue to cause damages or problems long after the flood water cleanup is done. Flood damage professionals have the expertise to prevent mildew and mold. They extract and clean up excess water to prevent mildew and mold from growing in your property. If mold or mildew is already in your property, professionals can also get rid of it by using effective cleaners and disinfectants. Proper water extraction and structural drying are necessary to prevent cracking and warped wood, crumbling drywall, and mold formation. Flood damage professionals have the training and expertise to perform damage mitigation. These experts use powerful extraction equipment to pump out the water and then use their professional-strength drying equipment to implement the drying process. They can extract hundreds of gallons of water quickly, efficiently, and effectively, and they are experienced in doing so. Their state-of-the-art equipment and their expert restoration techniques enable them to perform extraction, drying and mitigation according to industry standards. Sewage back ups are certainly a health hazard, so there’s a lot to take care when flood occurs in your property. Whether from a busted washing machine, broken pipe, or natural flooding you need professional help in order to produce amazing results. SERVPRO of West Mecklenburg County has trained professionals ready to respond anytime for your restoration emergency. We have technicians who can respond anytime 24 hours a day, 7 days a week. We are a phone call away! The restoration process can be complex after a commercial property in Charlotte, NC, is damaged by a flood, fire or storm. There are many ways a restoration company with 24-hour availability can improve the process of restoration for insurance agents, adjusters and business owners. During the restoration of a commercial property, decisions often need to be made quickly. If a restoration company is not able to respond to questions in a timely manner, business owners may feel inclined to attempt to handle a problem themselves, which can be a costly mistake. However, a restoration business that offers a fast response to business owners, adjusters and insurance agents can provide everyone with up-to-date information when answering any questions, and employees of the company can use their experience and knowledge to assist in decision-making. When businesses have been damaged, it’s often important to begin the claims process as soon as possible. 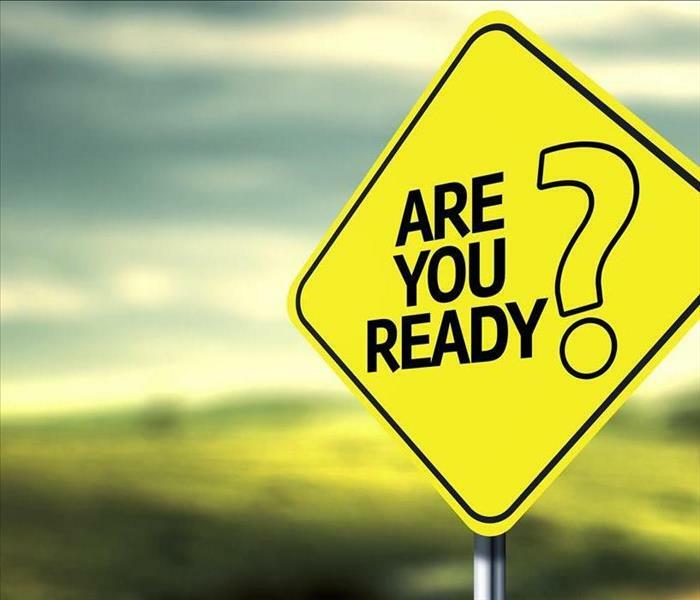 Starting the claims process quickly will allow the restoration process to start in a timely manner, which can ultimately save business owners time and money. Overall, working with a restoration company with 24-hour availability can dramatically improve the speed at which the claims process occurs. The process of restoring a commercial property is often stressful. It’s common for business owners to feel overwhelmed by everything restoration entails. If a major issue arises and insurance agents or business owners are not able to get in touch with the restoration company, an already stressful situation can become more difficult. Knowing that you can contact a restoration company that is always open can offer immense peace of mind. The right restoration company can make the process of restoring a business much simpler. Employing a restoration business that has 24-hour availability can allow insurance agents, adjusters and business owners to receive a quick response to any questions, can quicken the claims process and can offer peace of mind for everyone involved. Water in a Light? That’s Not All Right! Call SERVPRO, the experienced and professional restoration specialists. One of the first things that people are taught as children is the importance of keeping electricity separate from water; it’s why everyone exits a swimming pool when there’s lightning and why plugged-in appliances are kept away from bathtubs. The same is true if you find water in a light fixture in your home. Water contains many particles and minerals that conduct electricity, which pose an extreme danger in the home if combined. Hopefully, you'll never find a light fixture full of water, but if you do, follow these steps to ensure the safety of you and your home. 1. Do not touch any electrical switches, wires, or plugs connected to the affected light. They can all conduct electricity and seriously harm whoever comes in contact with them. 2. If there is pooled water or a puddle from ceiling damage, do not come in contact with it due to risk of electric shock. 3. Turn off the electrical breaker box to your house. If you can tell that the water in the light comes from a pipe, turn off the water source as well. 4. Evacuate all inhabitants from the home due to risk of electrical fires and collapsing ceilings. 5. Contact professional restoration specialists who can repair the light, remedy the water damage and restore your home to a safe state. It can be tough to be a homeowner when unexpected events such as leaks and water damage happen, but being proactive and in-touch with your home can help avert disaster. Check the rooms and fixtures of your house after storms or sudden temperature changes to ensure there are no new leaks or damp areas in ceilings or walls. If you find water in a light in your home, round up your family and pets, get out and then call the experienced specialists. They work hard every day to keep families safe and restore order in homes throughout Charlotte,NC. If you are concerned about mold growth in your Charlotte, NC home, you might be tempted to try mold testing it on your own. While this can save you money in the short term, it is not necessarily a great solution. If you think there is mold in your house, then it will always be a better idea to call in a professional. Here are a few reasons why hiring a service is preferable to testing for mold yourself. While not every mold kit is made the same, it is unlikely that you will find one that is better than having a test done by a professional. Because mold is present in nearly every environment, it is possible that you could get a positive result even when there is no harmful mold present in your home. When you do a DIY mold test, you have no way of knowing if the results you are getting are accurate. A professional service has the required tools to test for mold and the necessary knowledge to interpret the results. They will be able to see signs of mold that you might overlook. Even if you were to complete your mold testing with accurate results, it is unlikely that you would know how to proceed. Not only will a professional be able to test your home for mold, but they will also be able to complete the next step, removing the mold. If the mold removal is incomplete, the growth will eventually return, so it is best to leave this to someone who knows what they are doing. Unless you are trained in this area, mold testing your home and trying to remove the damage yourself will likely not yield the results you are looking for. Hiring a mold remediation specialist is the only way to make sure the job is done right. Making an insurance claim is an important step for homeowners to take after their home in Wilmore, NC is affected by flooding, fires or storms. However, the claims process can be overwhelming. Working with a restoration company that has a claims inventory service can improve the process in a variety of ways. Insurance companies often require a myriad of information, including photographs, receipts and forms after a disaster occurs. Keeping track of various documents can be difficult for homeowners whose households are damaged. However, working with SERVPRO, a restoration company that uses a claims inventory service, ensures that adjusters and homeowners can clearly see what has been documented. Sometimes, an insurance agent or a homeowner needs access to information quickly. However, it can be easy to misplace important documents that are related to the insurance claim. A restoration and cleanup company that has a claim inventory service will allow everyone involved to view relevant information as needed. Homeowners and agents can use the information found on the claims inventory service to make the best decisions throughout the restoration. If making a claim takes a long period of time, it’s possible that more damage may occur to a home. In addition to adding to the stress of adjusters and homeowners, a long claims process can ultimately increase the cost of the claim and can prolong the restoration procedure. A claims inventory service that keeps all documents organized and accessible increases the chances of a quick claims progression and can make the restoration run more smoothly. Making and managing an insurance claim doesn’t have to be complicated. SERVPRO uses the latest technology and helps insurance agents and their clients with a claims inventory service that keeps documents organized, is easily accessible and can ultimately quicken the process of making a claim. 3/19/2019 - Water in a Light? That’s Not All Right!